Hey South Jersey, while you were dealing with flooded houses, a lack of power and impassible roads, your governor was keeping warm on a chartered flight in route to a party to root on the New England Patriots. Residents of Stone Harbor and Sea Isle City would call that a farce. He called it leadership. “When the chips are down, I deliver,” Christie said with a straight face, on national television, just before hopping on a private plane to appear at a town hall in New Hampshire before watching the big game at the home of activist Ellen Christo. In a hurry to make a New Hampshire campaign event at 12:30 p.m. on Sunday, Christie even replaced his traditional storm fleece (this time a University of Delaware variant) with a suit and tie during his post-storm briefing at 10 a.m. “No questions? I’m outta’ here,” a beaming Christie joked as he bolted the state, something residents have become accustomed to. Christie’s campaign-first, New Jersey second mindset became apparent on Thursday. With a historic winter storm barreling down on the Garden State, and fears that high tides would wreak havoc on many Shore towns, Christie said he didn’t plan on leaving the campaign trail in New Hampshire to return to New Jersey. “If I feel like it’s necessary for me to get down there, I will, but I’m not driving a plow truck, OK?” Christie flippantly said to a WMUR reporter at a campaign event, seemingly annoyed the question was even asked. Keep in mind that Christie has been (rightly) attacking Sen. Marco Rubio’s voting attendance record in Congress, and was harshly criticized for remaining on a Disney World vacation in 2010 while most of the state was digging out of a massive snow storm. So Friday morning, after being shamed by the very residents that elected him, Christie changed his mind and drove back to New Jersey, a welcome change for a governor who has spent more than half his second term out of state. With the storm delivering a severe blow to residents along the shore, Christie had the opportunity to be the inspirational leader he was during Superstorm Sandy in 2012 and perhaps recapture some of the support years of post-Sandy failures have cost him. Instead, in the middle of a state of emergency, Christie bashed “selfish” Shore homeowners dealing with ice and flooding for blocking the building of protective dunes. It’s a complicated issue, and in some cases I agree with Christie’s opinion, but browbeating towns in the middle of a historic storm isn’t leadership – it’s politics, and really has no place during an emergency briefing. As if that wasn’t bad enough, Christie downplayed the flooding seen in towns along the Shore as minor to moderate, despite the fact the storm surge in North Wildwood was nearly a foot higher than during Sandy. 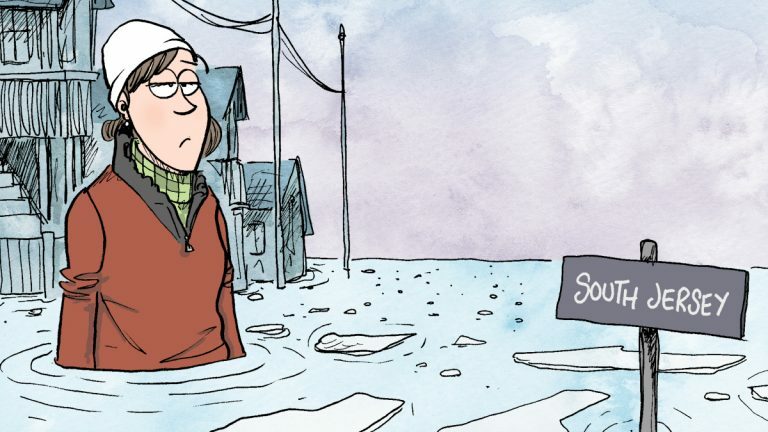 From Sea Isle City to Cape May, there was significant flooding, and at one point 40,000 people were without power as residents were battered by a combination of wind, snow and bitter cold. 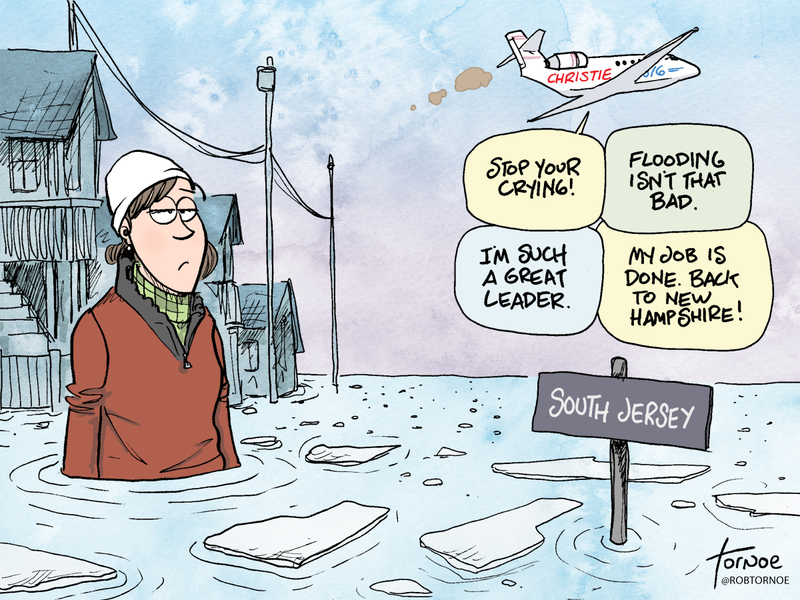 “We’ve really done very very well in this storm, and we have no concerns about damage or damage from flooding anytime soon,” Christie told CNN before hoping on his plane back to New Hampshire. Jersey Shore Hurricane News reported that high tide at Stone Harbor’s Great Channel reached 10.52 feet, a foot higher than the 9.3 foot record set during Sandy. And Cape May County sustained a storm surge greater than 5 feet, leading to flooding and property damage worse that it saw during Sandy. 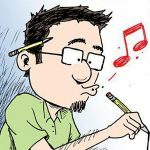 “Objectively, I can say that’s a ‘big deal,'” wrote JSHN’s editor Justin Auciello. So to recap, Christie reluctantly abandoned his presidential campaign and marched back to New Jersey like a petulant child being told to clean his room. After insulting thousands of residents during the height of a record-setting storm, he downplayed their dire situation and abandoned them, but not before patting himself on the back in front of a national television audience. “Whether it’s an impending storm or whether it’s the scourge of radical Islamic jihadist terrorism, you have to make people be safe and secure,” Christie said during his Sunday afternoon town hall in Portsmouth, N.H. He calls himself a leader. I call him a fraud. Looks like his poll numbers agree with me.